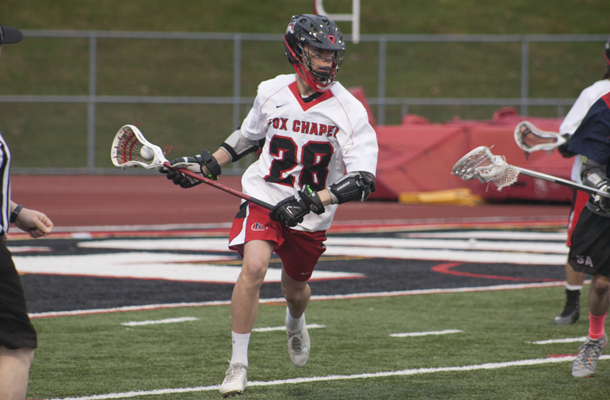 After a 5-10 finish in 2017, the Fox Chapel boys lacrosse team made a quick turnaround last season. The Foxes finished with a 12-4 record and shared the Section 3-AAA championship with North Allegheny and Shady Side Academy. They won their first WPIAL playoff game before losing to eventual champion, Peters Township. Yonas, a senior midfielder, will be back. Returning starters include Devon Root, a junior who will man the attack position, and senior Reed Seybolt, who also plays attack. A newcomer to the team is senior Will Jung. Yonas, Seybolt, Brad Root, Kenyon Weis and Drexel recruit Graham Childs were all chosen to the all-section team. Root, Weis and Childs are seniors. An area of concern for Devinney will be the team’s ability to compete with the top teams in the league. “We also need more scoring from the midfield position,” he said. The Foxes will compete in Section 2-AAA with Allderdice, Butler, Central Catholic, North Allegheny, Pine-Richland, Shady Side Academy, Shaler and Seneca Valley. “We’d like to be in the conversation when you consider the top teams in our section, which was again realigned this year,” Devinney said. “Pine-Richland and North Allegheny are the front-runners. But Seneca Valley, and Shady Side Academy along with us, are going to give it a good run as well.